hide.me VPN is a free virtual private network app for simple, everyday use. The program works cleanly without any login or registration required, making it perfect for background or occasional functions. While currently in a beta state it functions well, if a little slowly. VPNs often encounter this problem due to the redirection of web traffic and hide.me VPN is no worse than other free options. A good choice for those interested in preserving security and privacy during their web activities at the expense of reduced speed. hide.me's OS X VPN client is one of a kind solution with a set of unique features to make it stand out from the rest. It has recently released an update for its OS X app introducing some new features like IP leak Protection, DNS leak Protection, Fallback Protocol Support, Kill Switch, Auto-Connect, IPv6 protection and a lot more. It's as easy as 123, No Registration, No Login required. Just download and enjoy the fastest VPN in the world. hide.me VPN offers 100+ servers in 24 different countries across the world. It provides the best security features to protect users' privacy and devices from all kinds of online threats. hide.me VPN maintains its own dedicated server network to ensure fast speeds and absolute privacy. 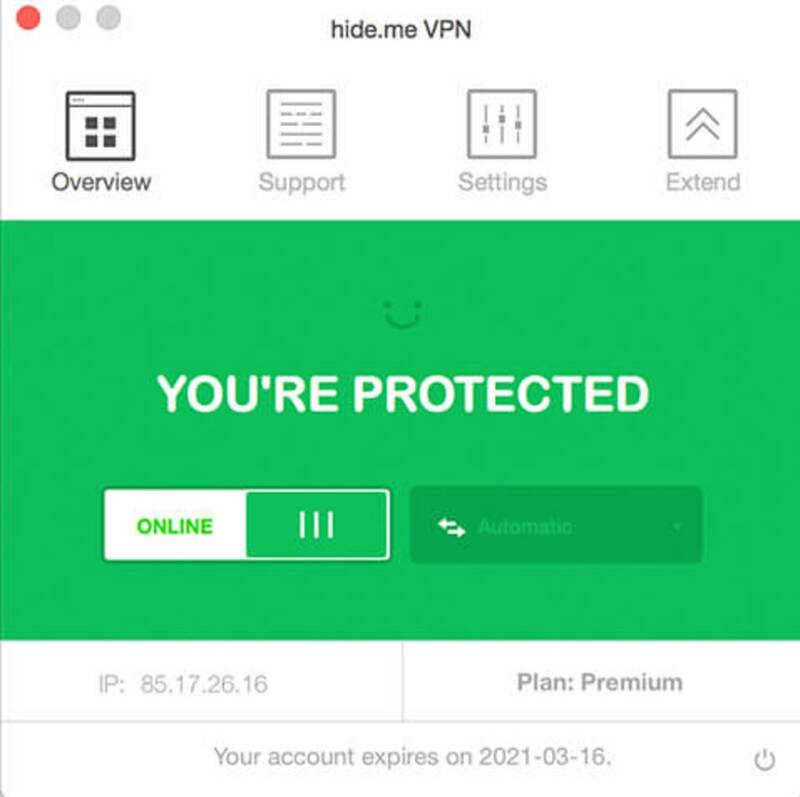 What do you think about hide.me VPN for Mac OS X? Do you recommend it? Why?